10 Things That Every Website Should Have — The Denizen Co. Ever wonder what you should have on your website? 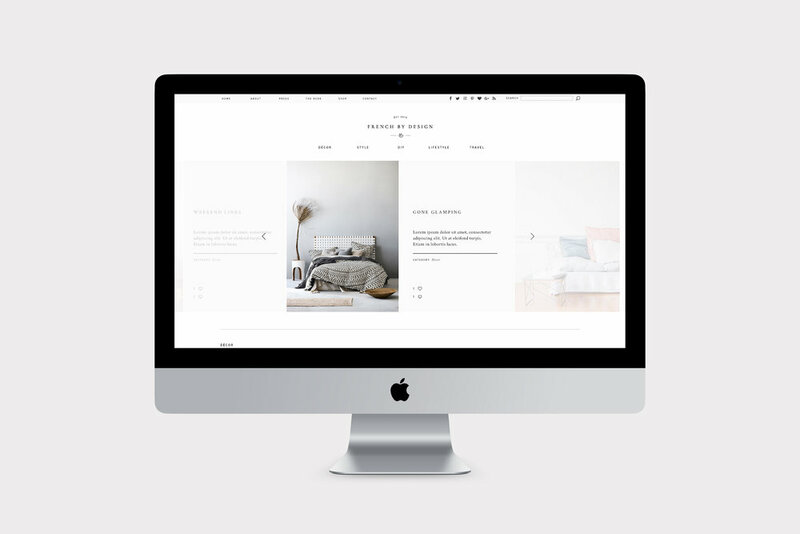 Your website is your digital storefront. Nowadays, it may even be the most important marketing tool for your business. Make sure your website is doing your brand justice by reviewing these 10 things that every website should have. One of the top mistakes that emerging brands make is settling with a confusing website URL. If your URL is nearly impossible to communicate over the phone (“nope, that’s an underscore, not a dash…’”), then you are making it difficult for thousands of potential site visitors to find you online. Ideally, your URL should not have any dashes or underscores and match the rest of your social media handles. If your company name domain is taken, consider putting a spin on it like a “Co.” at the end (guilty!) or prefixes like “we are _” or “shop _”. Better yet, if you are still in the early stages of branding, consider exploring other company names. An occupied URL is a good indication that your company name isn’t as unique as it should be. Site visitors decide within the first 2 seconds whether they will stay on your site or hit the back button. That’s right – you have 2 seconds to communicate the value proposition of your business. Though it may be tempting to open with a meaningful quote or something witty, it is far more important to give your site visitors an accurate depiction of what your business is. After all, your most loyal customers find value in your product or services, not the witty one-liner on your website. Every website should include a clear and concise headline that clearly communicates who you are and what you do. For your own headline, distill these three criteria into a colloquial 1-2 liner to include near the top of your website. Now that you have a clear and concise headline introducing your brand, let’s dig deeper. Elaborate on your value proposition by providing a comprehensive overview of your services or products so your site visitors can understand what to expect from your business. This usually takes the form of a simple list or grid outlining your services and products. You can bolster this section by adding a short explanation of each service or product, or including a learn more link where visitors can click to read more about your products and services. Also, we recommend having no more than 6 primary navigation links. Any more than that clutters the header and reads as overwhelming to visitors. If you currently have more than 6 navigation links, consider using a secondary navigation system or consolidating your content. For example, “DIY”, “Home”, and “Food & Drink” can likely be grouped into a single Lifestyle category. No matter how large your team or how professional the setting, people generally want to do business with people, not faceless operations. Every high-performing website has a photo of the founder or team members and ideally a humanizing story about the brand’s origin story. Don’t hide behind your screen – people want to meet you! Every website has an end goal. An online store’s end goal is to get visitors to buy their products. A blog’s end goal is to get visitors to subscribe to their content. A portfolio website’s end goal is to get visitors to hire them for a commission. A visitor should not have to guess what your end goal is. Whatever your end goal is, it should be included in your site in the form of a call-to-action (CTA). Again, your CTA must be clear and concise, and clearly visible. More often than not, CTAs appear once near the top of the page, and once near the bottom of the page as a friendly reminder to “hey, do the thing.” If you want visitors to subscribe to your newsletter, don’t be afraid to say just that. As more and more businesses take to marketing on social media platforms like Facebook, Instagram and Pinterest, your visitors are generally curious as to how you fare on social media and how you interact with your community. Don’t make it difficult for them to find your social media channels. Include social media icons or links in either your header or footer – ideally both. We live in an image-driven society. Even the most meticulously crafted headline and website copy can fall short against a backdrop of cheesy stock photos or low-resolution images. Invest in a photographer to take high quality original photos for your business. Though the initial cost may set you back a bit in the beginning, high quality imagery is the most intuitive way to gain trust and engage meaningfully with your target audience. If you don’t have the resources to hire a photographer at this time, consider quality-driven stock photo agencies like Stocksy. Your website is your digital storefront, and images take up the most amount of screen real estate – don’t cheap out on this opportunity to leave a lasting impression on your audience. Include a live feed of your most recent blog posts on the front page of your website, so your visitors can access this information easily. Better yet, add your “Subscribe” button right below so visitors can continue to follow your future publications. There is nothing more frustrating than digging through a website trying to find a contact number or email – especially when you have a burning question about their business or the possibility of working with them. Don’t make your visitors feel like they have to work to get in touch with you. Include your contact information in your footer and ideally in the form of a link in your header.